The Holiday Inn Edinburgh is located next to the beautiful Edinburgh Zoo. This great location is halfway between the city and the airport making it easy to get to. The guest rooms all have a great view of either the leafy surrounds of the zoo or across the Pentland Hills. The beds are comfy and you have satellite TV as well as pay-per-view movies and in room video games. Free wifi is available for all IHG members. There are loads of dining options with two restaurants, a cafe and bar as well as 24-hour room service. The breakfasts are also great with the full english or continental options and cost just £14.95 per person. You can book this when you check in and best of all under 13s dine for free. The hotel offer a great value hotel park and fly package where you stay the night in the hotel and then park your car at Secure Airparks at the airport. There is a free shuttle to take you from the car park to your terminal. 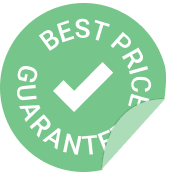 Edinburghparking.com  guarantees to offer you the best price available for this package. Thank you, little bit of confusion when we first arrived, but the staff were very helpful and managed to sort everything. The Holiday Inn Edinburgh is located in a suburban setting next to the Edinburgh Zoo. Located on the A8 this hotel is very easy to get to and is just three miles from the airport. There is guest parking available for all guests while staying at the hotel. The Hotel Park and Fly package includes parking at the Secure Airparks car park at Edinburgh Airport. In the morning you just check out and drive to the car park and park your car. From here there is a free shuttle that runs every 5-10 minutes and just takes 3 minutes to get to the terminal. This is a family friendly hotel with family rooms available. Under 18s stay free when staying with their parents and under 13s dine free when dining with parents. Trader's restaurant serves full Scottish breakfasts and international dishes for dinner. It also has a great range of whiskeys on offer. Sampan offers excellent asian cuisines and it the place to go for dim sum and spicy Asian curries. 24-hour room service is also available. Cafe Express and the Gallery Bar offer a range of beverages and snacks. Spirit Health and Fitness club features a fully equipped gymnasium, indoor heated swimming pool, spa pool, sauna and beauty treatments. There is also a business centre available offering a range of business support services.